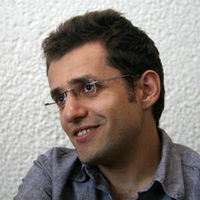 Q: Good day Mr. Aronian, thank you for accepting the interview. Tell us what are your expectations for this year’s Club Cup. A: We have a very ambitious side and all of our players are really excited. 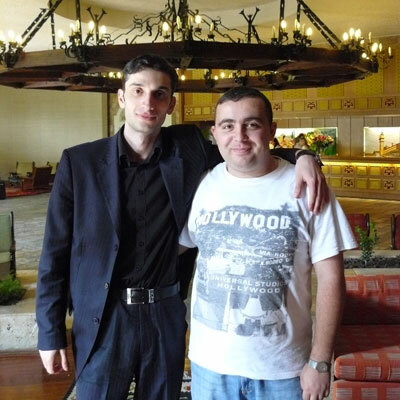 Some of our members are playing the Club Cup for the first time, as our young player GM Arman Pashikian. I expect that we will be fighting for the first place. And since the weather is so nice, we can also relax and enjoy. Q: This is not your first tournament in Greece, what are the memories from previous events? A: I always liked playing in Greece, it’s relaxing and nice. Q: Your team MIKA is featuring Magnus Carlsen, Boris Gelfand and members of the Armenian Olympic squad. Do you think that this competition will be a good warm-up for the World Chess Olympiad, where you defend gold medal? A: Certainly, I mean, we have the team that is capable of achieving things that we already achieved before. Our team here still feels like one, even if it not the competition where we represent our nation. In a way, it’s similar, but it will be much tougher for us in the forthcoming Olympiad, as our team is not that strong anymore, we lost one of our members. But still, I’m an optimist. Read the full interview at the official site. The games start tomorrow with the participation of 23 players over 2700 and 60 players over 2600.